Here is a new band that just fell onto my lap called Firesuite. They are from Sheffield in the UK and just released their debut album 'You're An Ocean Deep, My Brother' which can be purchased over at their bandcamp page. Their sound is a mix of alternative/indie/shoegaze which can go heavy on the noise at times and then switch it up with some soothing melodies. I am a fan of the opening track 'Of Little Faith' and feel it really gives the band justice in what they are trying to portray. The song opens up the album with some fierce vocals and is just an all around polished rock anthem. "We spent a great many hours trawling through old recordings and hidden demos, as well as the material we had been writing up to and including recording time, attempting to whittle down the 21 songs we agreed upon into something more concise. Somehow, amid heated debates about "spherical" albums and suggested concepts that no-one really understood we managed, over the course of the following year to complete "You're an Ocean Deep, my brother", 10 deeply personal and much-loved songs that we are really proud of, and want to share with you." 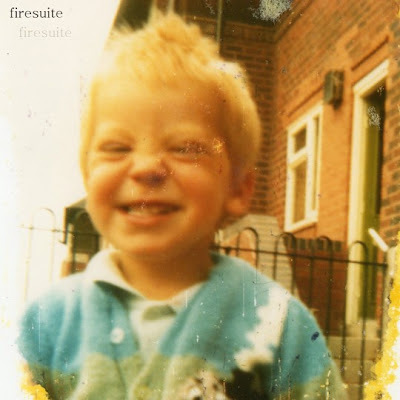 Amity by Firesuite from Euston Piret on Vimeo.